All adults, whether regular, occasional or new Book Discussion Group attendees, are invited to participate. Light refreshments will be served. Copies of the book will be available at the Information desk one month prior to the discussion. For more information, please call Adult Services librarian and discussion facilitator Claudia Link at 732-390-6772. Our New & Notable Book Club is reading There But For The in September and meeting on Sun., 9/16/12, 6:15pm. "A celebration of the 30th anniversary of Virago Modern Classics takes place on June 2. Launched in 1978, the imprint reprinted works by female writers including George Eliot, Daphne du Maurier and Muriel Spark, with introductions from contemporary authors. 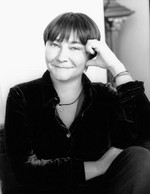 Novelist Ali Smith will be in conversation with Virago founder Carmen Callil, publisher Lennie Goodings, and editor Donna Coonan." Ali Smith's book The True Deceiver was available from LibraryThing Early Reviewers. Ali Smith is currently considered a "single author." If one or more works are by a distinct, homonymous authors, go ahead and split the author. Ali Smith is composed of 3 names. You can examine and separate out names.